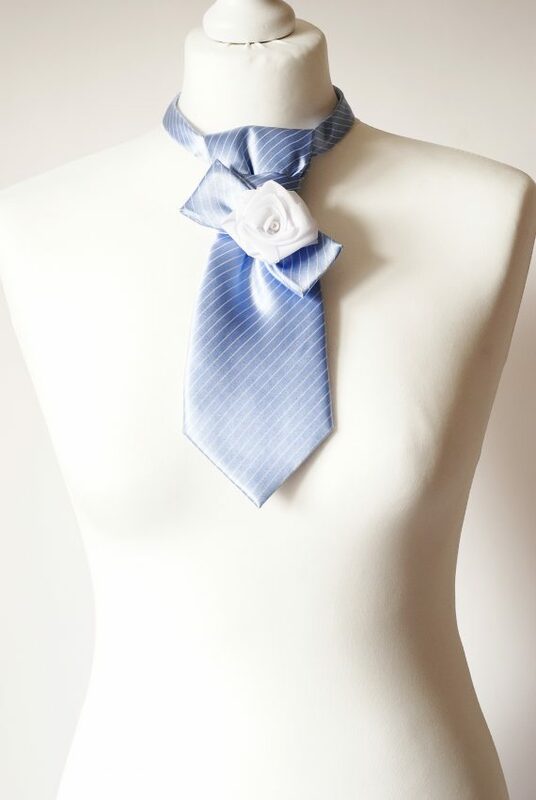 Beautiful Petite Size Necktie Handmade from Pure Silk Tie and Decorated with Ribbon Rose and Faux Pearl Bead. It doesn’t need to be tied and has a button and a loop closure at the back. All bebrave Neckwear is made to fit, so please put your neck measurement or short description in a box provided when making an order and we will make sure that your chosen Necktie fits you perfectly. Bebrave Neckties are not like traditional self tie neckties and look like a scarf, cravat tie or a neck piece. Their collars are slightly longer than you neck size, just to give some space for your shirt collar, if you would decide to wear it in a traditional way.